According to Scotty Cameron, 2019 will be the year of the mallet. OK, that’s my assumption. I have no idea if he thinks that or not, but when I look at the putters that he is releasing this year, what other conclusion can I really come to? First, last week he announced that he is expanding the Select line by two mallets (Fastback 2 and the Squareback 1.5). Now I realize that adding two putters to an existing line is not really a year-of-the-mallet harbinger, but in defense of my supposition, Scotty will also be releasing nine additional mallets in 2019! 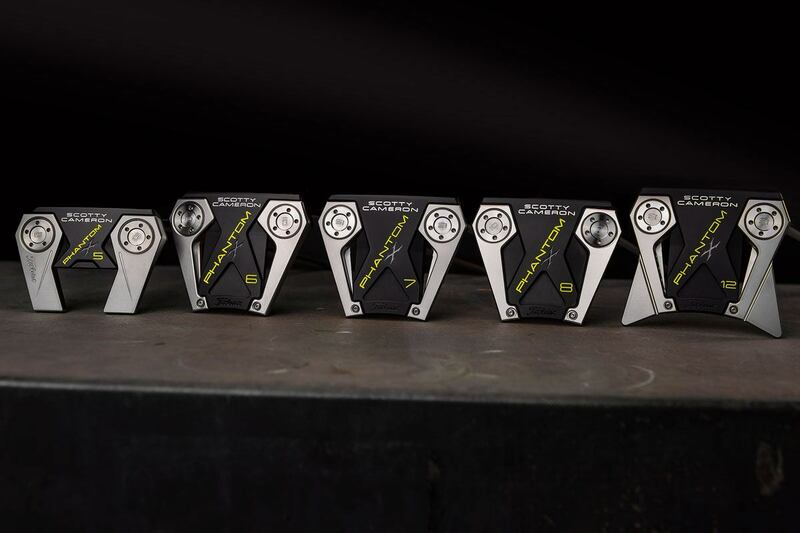 Phantom X is by far the most high tech putter line we’ve designed to date. I love that Cameron was teasing us by characterizing this release as Tour Only. That trickster. What a great way to generate some I want that buzz in the new putter-craving community. Nothing makes me want a putter more than being told I can’t have it. 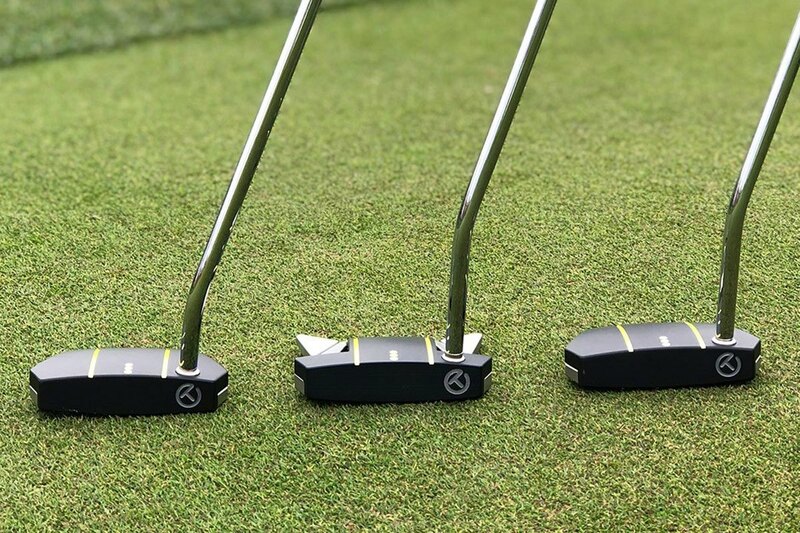 Regardless of whether you’ve seen these before, or are seeing them for the first time today, a full mallet line release from Scotty Cameron is a big deal that warrants exploration. So what is going on with the Phantom X line? The Phantom X line presents players with a variety of new mallet setups built around a cohesive mix of five head styles, with multiple shaft bend and alignment options. To maximize MOI, each Phantom X model incorporates multi-material construction featuring precision milled solid aluminum faces integrated with 303 stainless steel heads with enhanced vibration dampening technology. Cameron is no stranger to milled aluminum mallets. Back in 2013, I wrote a detailed review of the Futura X mallet. 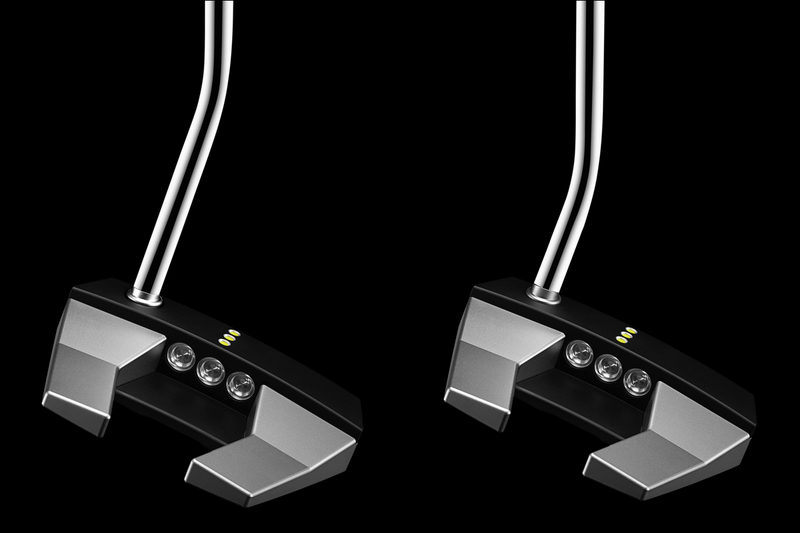 With that putter, the main body was milled aluminum, with stainless weights dropped in at the corners for MOI enhancement. Some people couldn’t get past the looks of that putter, but man did it put a nice roll on the ball. The Phantom X line is not a rehashing of Futura design themes, rather representing a different concept with a merger of aluminum and stainless. This time, it’s not just stainless weights in an aluminum head. The Phantom X build is similar to those that we find in the Odyssey EXO line where MOI is boosted by positioning the lighter aluminum in the middle of the head, with heavier stainless pushed to the perimeter. 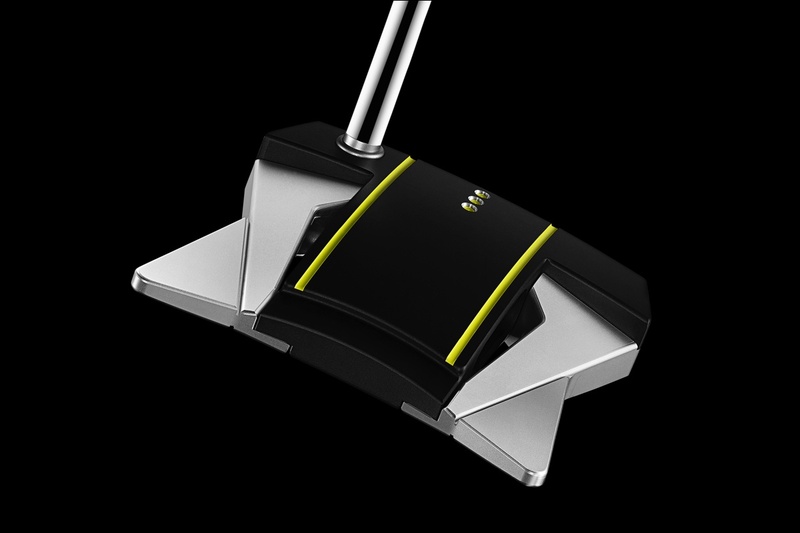 That said, the Phantom X putters are not EXO clones, nor are they clones of each other as each model has a unique aluminum and stainless geometry. Just take a look at the stainless shapes and quantities of said stainless in the group photo above, and the individual model shots below, and you’ll see what I am talking about. The 6, 7, & 8 models do look similar from the bottom, but those three are definitely different when viewed from the top. The aluminum and stainless are not positioned in the same patterns at all, likely creating very different play dynamics. I’d love to see the MOI numbers for these to see the effect of the stainless variation, but unfortunately, I don’t have those numbers to share. 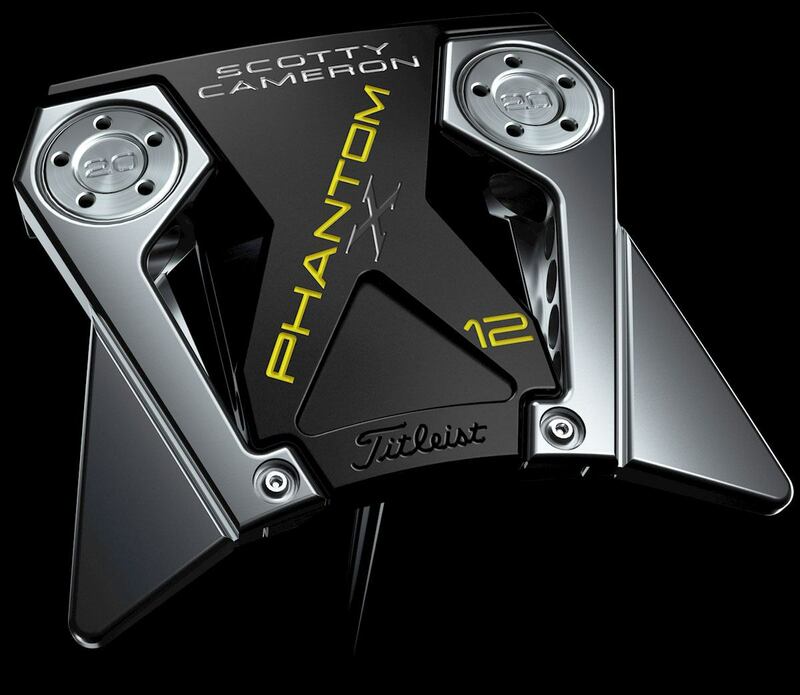 Just eyeballing these, I’d peg the Phantom X12, with its stainless tail wings, as the highest MOI putter of the bunch. Again, it would be cool to know the impact of the wing addition when comparing the X7 to the X12, or the effect of aluminum extension to the edges on the X8 vs. X7. Mallets with toe-hang have been a recurring putter design theme in recent years. You’ve got the Spider S, all of the Odyssey S-neck variants, and lots of other companies adding flow necks to more traditionally double-bended mallet heads. This fits the mallet into a more arcing stroke path than the traditionally face-balanced mallet, allowing people who typically fit blade stroke paths to experiment with more forgiving mallets. 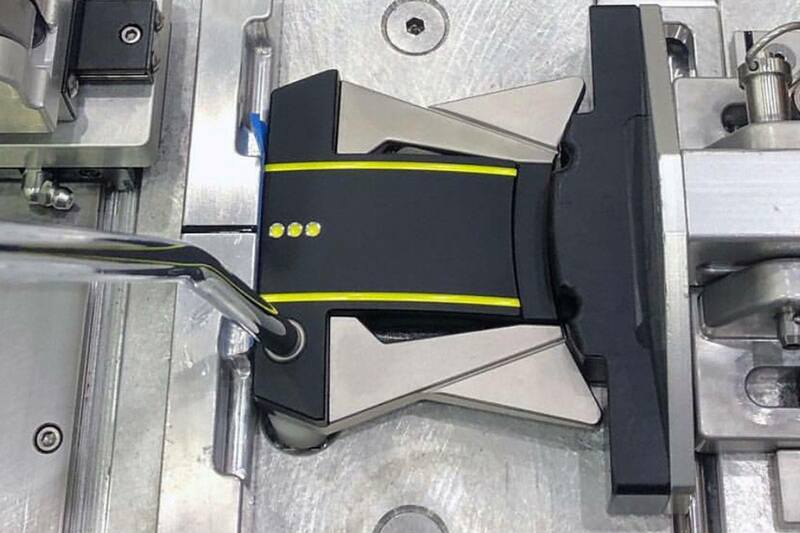 Three of these new mallets will be available in configurations that provide more toe flow, yet Scotty Cameron is not accomplishing this by adding flow necks. Instead, the 5.5, 7.5 and 8.5 models will increase toe flow by using shafts with a lower single bend. The other models without the .5 designation will have a higher bend point in their shafts, causing them to be face balanced. The 6STR will actually have a straight shaft and no offset. It’ll be face balanced too, but will give you a much different appearance at address. It’s not quite center-shafted, but it’s close. It reminds me a bit of the shaft position in the old X3 mallets. The evolution of this Tour-proven wingback mallet with a single mid-bend shaft continues with a solid aluminum face anodized in black that extends back into the stepped down flange, framed by misted stainless steel. Three milled topline sight dots painted neon yellow and framed with polished aluminum provide simple but effective alignment to the sweet spot. Identical in shape to the Phantom X 5, the 5.5 has a lower shaft bend that provides enhanced toe flow for players seeking stability while still creating an arc in the stroke. This bend was inspired by Justin Thomas’ Tour prototype setup and combines some of the feel of a blade putter with the forgiveness benefits of a mallet. 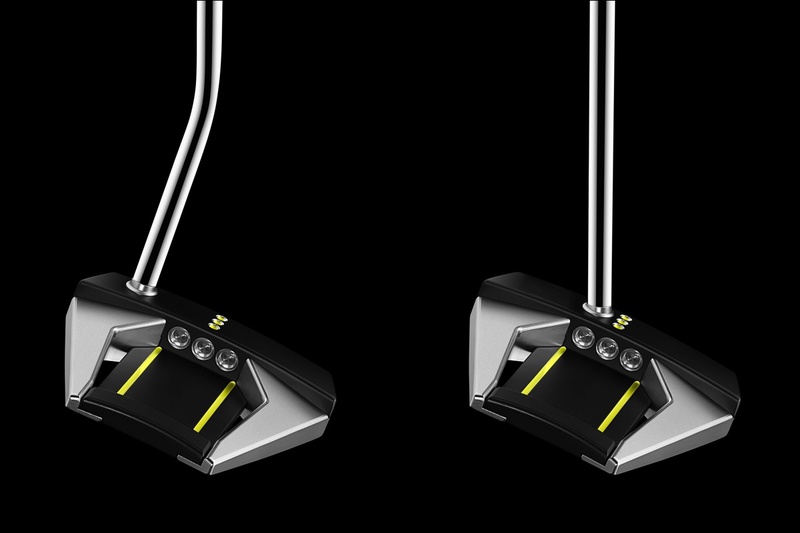 A face balanced mallet with a single mid-bend shaft provides distinct alignment cues, with two long neon yellow sight lines milled into the stepped down flange, framing three milled sight dots on the misted black anodized topline. Customizable sole weights increase MOI and stability through the stroke. Constructed without a spud and with zero offset, the straight shafted 6STR produces face balanced performance with a clean and minimalist look at address. The topline sight dots of the Phantom X 6STR are painted neon yellow for easy alignment in conjunction with the extended neon yellow sight lines in the stepped down flange. A single mid-bend-shafted, near-face balanced setup, Phantom X 7 features a heel-to-toe tapered aluminum face that is sculpted into a raised center flange for a continuous, connected surface from the leading edge all the way back. Framed by stepped down, angular stainless steel components, the Phantom X7 combines the benefits of long flange sight lines with a semi-traditional topline for easy horizontal and vertical alignment at setup. Also available in a left-handed model. Inspired by touring professionals seeking a putter with simple visual cues and a continuous transition from leading edge through the back flange, the Phantom X 8 is a sleek, near-face balanced mallet with a single mid-bend shaft. Milled sight dots and neon yellow sight lines perfectly frame the golf ball for seamless alignment without distractions. 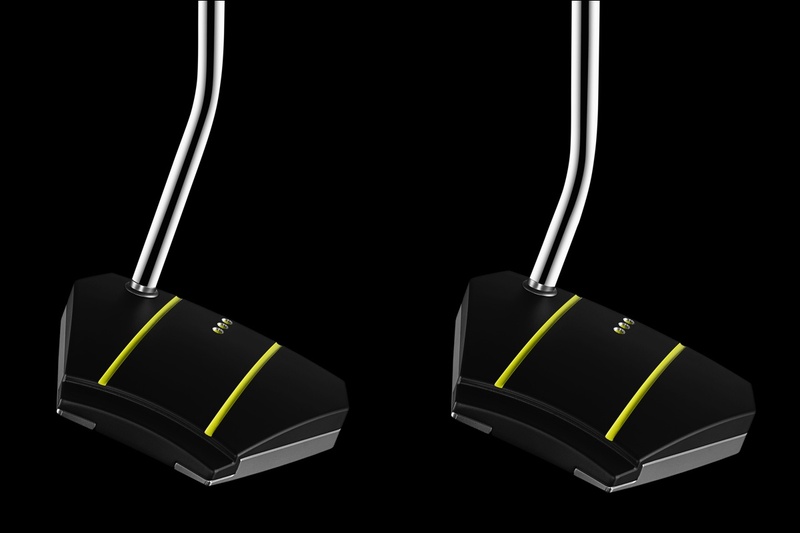 Differing from the Phantom X 8 only in shaft bend length and increased toe hang, the Phantom X 8.5 offers players an unbroken, sculpted flange from the putter’s leading edge through the back flange with a single low-bend shaft to promote a slightly arced putting stroke. Alignment is easy with bright visual cues. 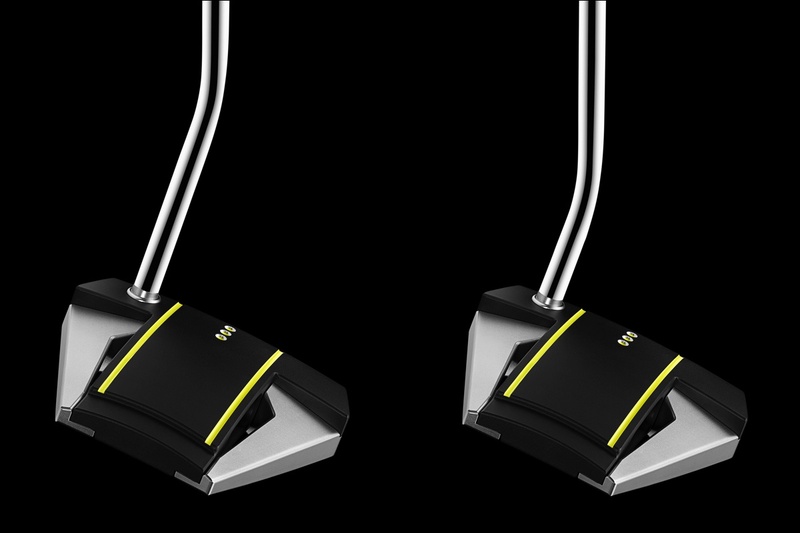 With swept-back wings precision milled from 303 stainless steel, this near-face balanced, high-MOI mallet with a single mid-bend shaft employs the continuous alignment features of the Phantom X line’s full leading-edge-to-flange construction – crafted from aircraft grade aluminum, anodized black and accented with neon yellow sight cues. The ultimate in technology, stability, and forgiveness. I think that the X12 will likely be the model that grabs the most attention. It’s the most out there of the designs, and with that distinction, it’s likely to generate the most love and hate. Looking at that photo below from the Cameron Instagram feed, you can immediately see how the aluminum and stainless frame the putter at address. I’m sure that there will be some grumblings about the yellow alignment lines, but if you are looking for a high-contrast color scheme, yellow and black is the way to go. I like that Scotty double milled the alignment dots to make a little silver ring around the colored dots. They could have just filled them in all of the way, losing that silver ring in the process. I know that it’s a silly notion, but that little silver ring makes the putter look more like a precision instrument to me. A bit like the perimeter ring on a watch face. If it was just a solid yellow dot, I don’t think that it would have the same impact. In addition to the yellow accents, the aluminum body of the X12 (and the X7) creates a big T alignment scheme. For some golfers, this T will likely be the only thing that they focus on at address, ignoring the stainless wings altogether. Others may stare down at the head and have no idea where to focus; be it big T, wings, lines, or dots. Like I said, the Phantom X12, and its unique elements will evoke both loving and loathing. As for why there’s not a X12.5, your guess is as good as mine, and yes, I want an X12.5 too! Like many of you, I’d like to know a bit more about these new putters. What does “solid feedback, while preserving the soft feel players prefer” really feel like? How is it physically possible to have a finish that’s “radiant yet glare resistant“? What about the “sleek, ground-hugging contours that pleasingly angle away from the player to inspire confidence at address“? Cameron press release descriptions never fail to entertain me and foster my curiosity. Unfortunately, that curiosity will persist for a few months. Like most of you, I have not had the opportunity to roll these putters, thus making first-hand observations impossible. Also like most of you, I’ll be in a shop somewhere on April 12th ready to see what the Phantom X line is really all about. Still playing with my Wilson 8802 bought it in the mid 60’s, I think?? I am all set with this brand. I still like older Scotty’s from late 90’s – 2000 when carbon and longnecks were made. Otherwise would rather spend my $$ on a boutique or custom made. Enough is enough with this garbage. They all look like cheap kids toys. You see any Pros playing with technology? Give me a break. This line does not surprise me at all. Cameron is getting killed by TM Spider and Odyssey / Toulon. I actually like the look of these and would love to roll the 7 or 8. Will the X5 be made available in left hand? Anyone know? These putters are really Ugly!! Sure tech is there, great MOI, which more players need, but Ugly. The fang styles are ok, however they look just like Odyssey. I wish he would have just dropped a black or satin version of JT’s putter on tour without being a circle t. Especially with the milled dot sight lines looks like odyssey. Also he borrowed from his pal Betinardi as far as the colorway. Not a fan. I definitely need to try this! Looks amazing! You know, Bobby Grace has been making designs that look a lot like these for many years. No doubt, Scotty is a master, but not the only one… The Scotty Brand is a strong brand for sure. Will be interesting to see how these perform. I hope MGS adds more putter brands to the testing this year. By far the most important club in the bag! The X5 looks nice and compact. Glad to see the short bend shaft option, honestly if it’s massed produced a short bend shaft looks better than those cheap flow necks that aren’t welded. Looking forward to see how this feels and sounds. Very much like a Nike Drone 2.0, which I liked, will be checking these out! Good call on the Drone. I knew it looked like something else. Was thinking the Bobby Grace F16 also, at least in overall shape. It’s a Scotty, of course it looks like something else. 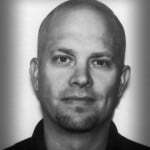 Has the guy ever had an original idea? I’m on my 3rd season with a 7XM and love it but man do those look nice.